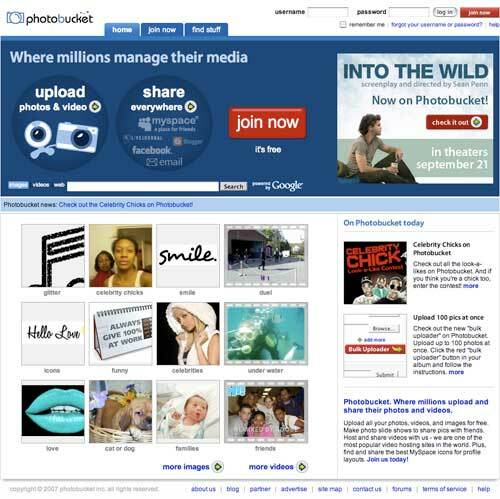 Flickr – Owned by Yahoo!, Flickr offers both free and premium services. You can tag your photos, add comments to any part of an image, create sets, collections, slideshows, print out photobooks, postcards, snapshots, etc. Zoomr – Think Flickr, but map centric. Zooomr offers nice photo storage functions, closely integrated with geotagging (placing your photos on a world map) and e-commerce (selling your photos) functions. 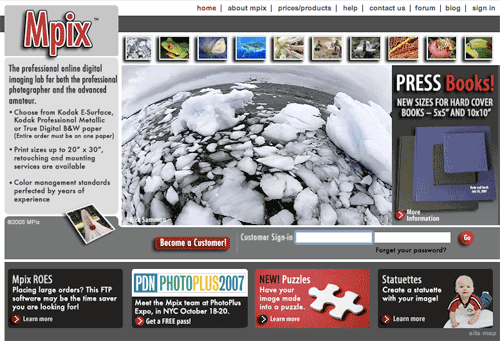 SmugMug – SmugMug is a wonderful website for storing your images. It’s fast, well supported, and offers plenty of sharing options, including making photos private and password-protecting them. There’s even a special offer for Yahoo Photos customers who are looking for a place to store their now orphaned images. Shutterfly – Primarily a photo-printing business, Shutterfly also lets you store your photos, create photobooks, postcards, share your photos, etc. These services will let you upload your photos and edit them online. Useful if you don’t have an image editor on your computer, or when you need to quickly edit a photo while at a cybercafe. 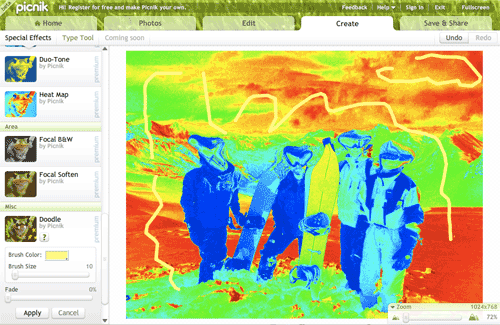 Picnik – I was impressed by this one. 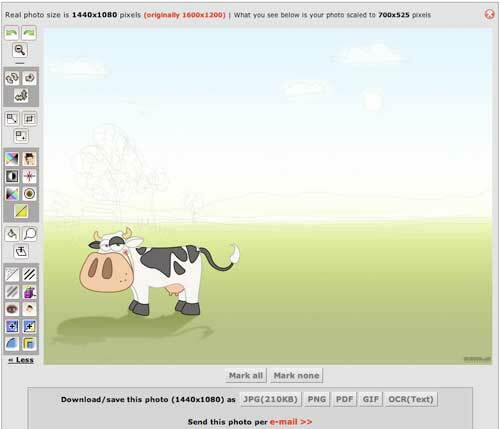 Picnik will even let you play with their software without creating an account (Scrapblog will too), a clever way to let you try Picnik without forking over your personal information. Slick looking, fast and powerful. Worth trying, even if just for fun. 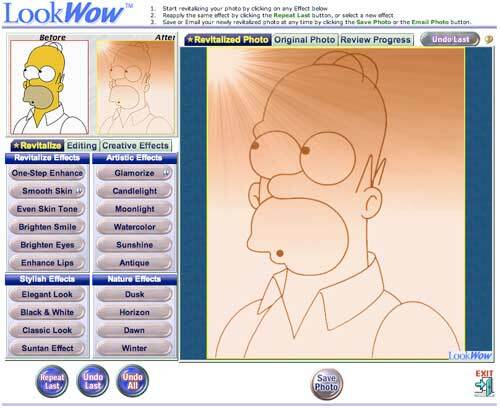 LookWow – Java-based online photo editor. 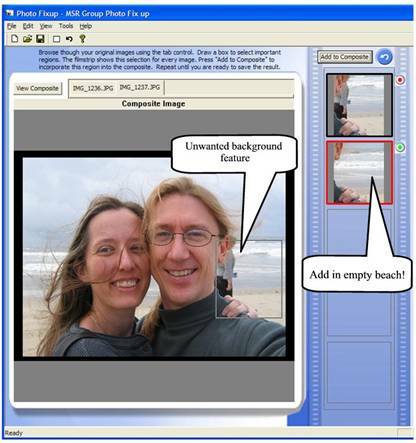 Will let you apply effects to an image, undo, compare and save. Snipshot – Another really good looking online photo editor. Not as powerful as Picnik, but worth trying. Phixr – Has a nice set of tools, but took forever to load. MyPictr – Quickly create image thumbnails for online social networks. Upload your photo, crop the area you want to keep (usually your face), choose the network you need your photo for and MyPictr will spit out your image in the proper size and format. 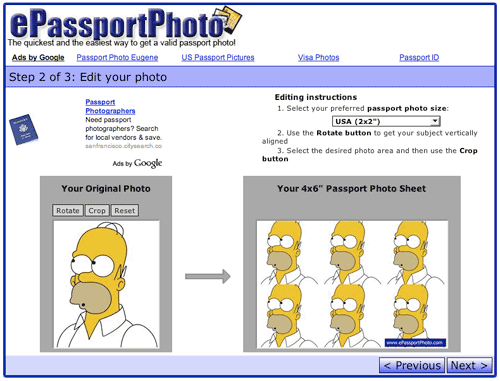 ePassportPhoto – The Internet equivalent to a passport photo booth, it will format your picture so that it can be printed and cut into six passport-ready photos. No more paying $8 for 19 cents worth of prints. Make sure your photo is passport-worthy before uploading. BigHugeLabs – Do almost anything with your Flickr images. Calendars, frames, print-out projects… too many to list. Scrapblog – Online scrap books. A wonderful service by my Miami friends. 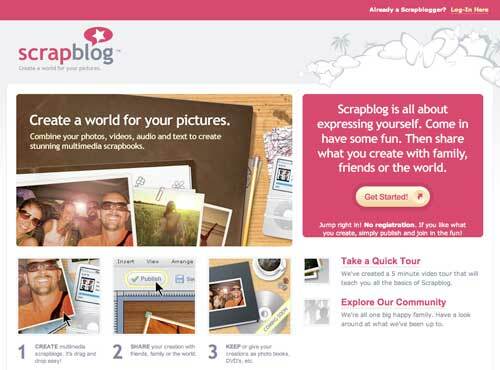 You can give Scrapblog a try without creating an account (you can create an account later and recover your trial project). 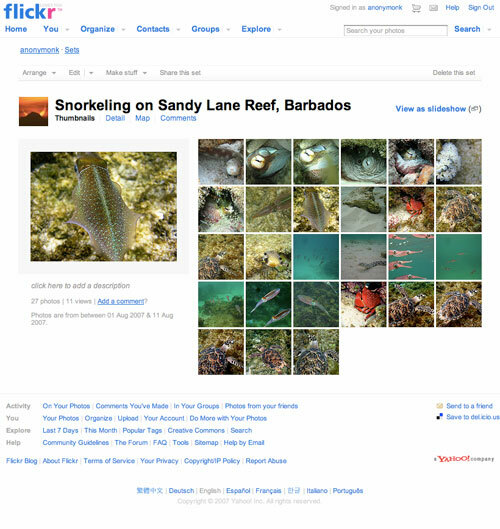 Connects directly to your Flickr account, so using your existing images is very easy. Amazing flash-based interface will leave you wondering what else is possible on the Internet. Let your inner Martha Stewart run wild. 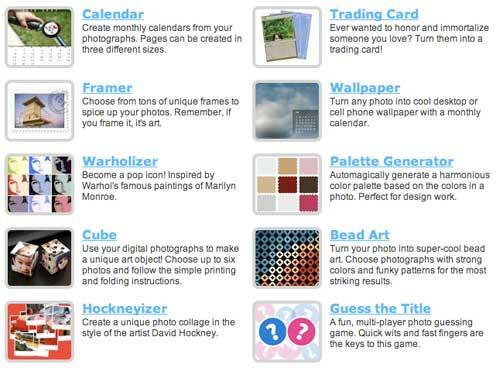 Spell with flickr – A fun service that will turn any word into its Flickr image letters. 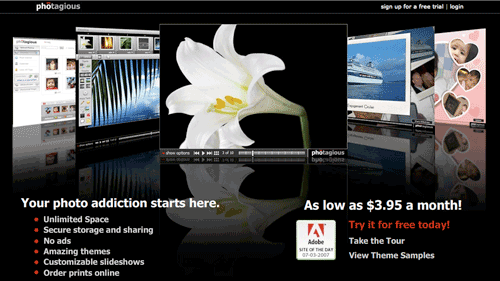 Photagious – Online Slideshows, themes, editing, text, unlimited uploads. Should probably be listed under “Organize and share them” but their slideshow functions are in a league of their own. Riya – Although it’s been transformed into a “visual search engine,” you can still access their original image storage and sharing service. Riya’s technology will let you search for items containing similar items to a reference image. 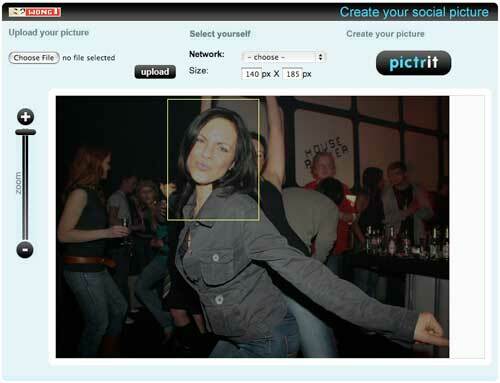 It will also let you identify a person in an image and find additional images where that person appears. 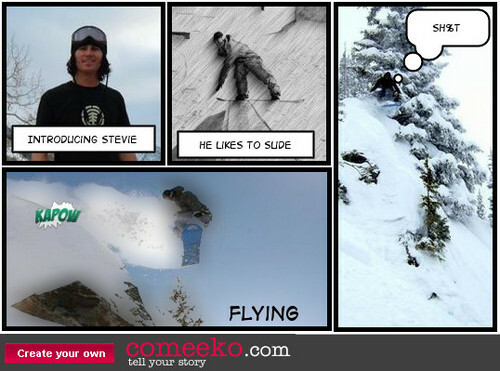 PikiStrips – Turn any image or images into comic strips, with text balloons and special effects. Look through the earlier examples uploaded into the system for the better quality stuff. It seems the latest ones are mostly people making gang signs. You don’t need a GPS to map your images online, though one certainly helps. These services will let you identify the geographical place where each image was taken and show them on a map. PanoramaBuilder Build panoramic images by stitching together your photos. Now you can pan around a place as if you were (almost) there. 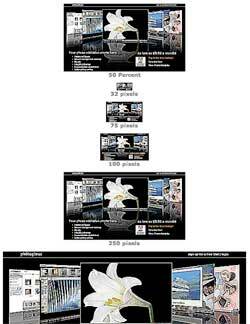 Virtual Panorama Tours on Google Maps – A list of panoramic images overlaid on Google Maps. Mostly used for real estate. Panoramio – Map centric photo storage and sharing. 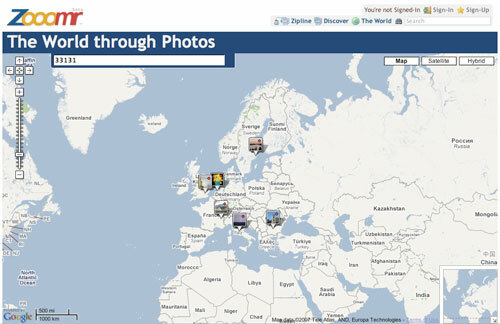 Geotag your photos, correct photos others have wrongly placed. 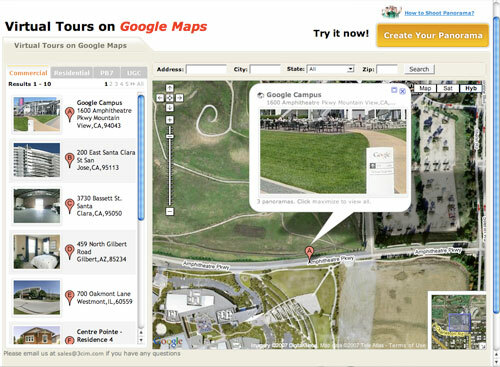 Panoramio photos are regularly uploaded to Google Earth so that other Google Earth viewers can see them by activating the Panoramio layer. 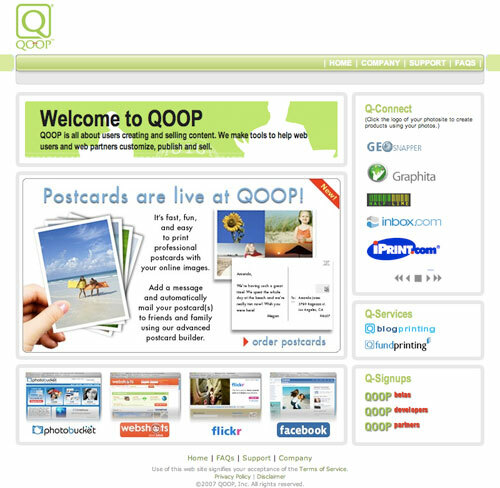 QOOP – Photobooks, postcards, mugs, stickers, canvas prints, mini photobooks, shirts, hoodies, mousepads, calendars, greeting cards, etc., directly from your photo storage account. Works with most popular photo storage sites. 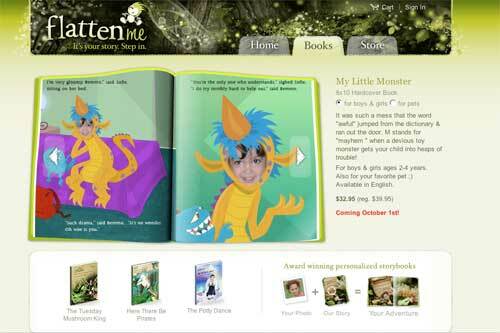 Flatenme – Create customized children’s books with your little rascal’s image in place of the book’s hero or heroine. 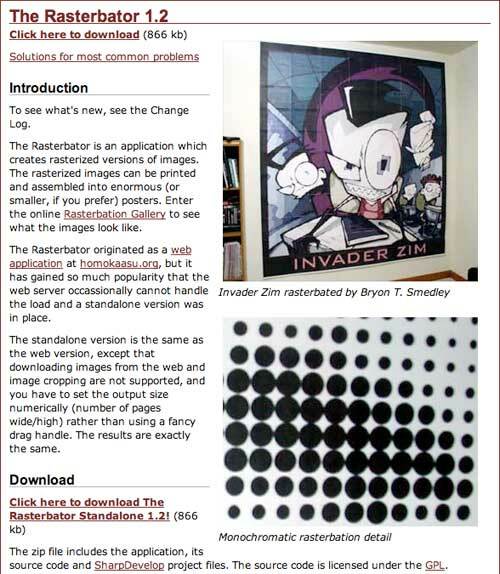 The Rasterbator – An application which creates rasterized versions of images. The rasterized images can be printed and assembled into enormous (or smaller, if you prefer) posters. See website for details. Microsoft Research Group Shot – MSR Group Shot helps you create a perfect group photo out of a series of group photos. With Group Shot you can select your favorite parts in each shot of the series and Group Shot will automatically build a composite image. Erase someone in the background, fix faces with eyes closed, etc. Fascinating! 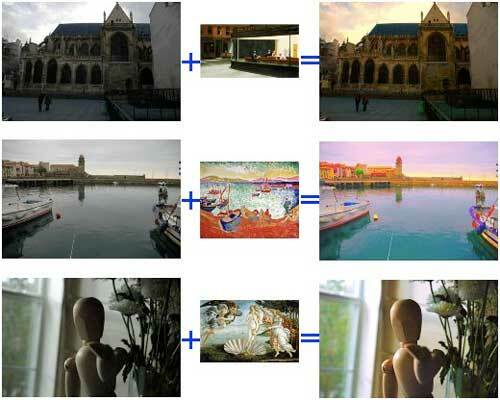 Content Aware Image Resizing – An amazing image resizing algorithm. Watch the video and rest easily knowing that the scientist behind is already working with Adobe on the next Photoshop. Improve your photography with classical art – An interesting technique that uses traditional classical paintings to correct the light and color of your photographs. Automator Actions: Photoshop Automator Actions v3.5 – If you’ve got a Mac and Photoshop, these scripts might make your photo-editing life a bit easier. These programs will help you manage your entire photo library on your PC or Mac. 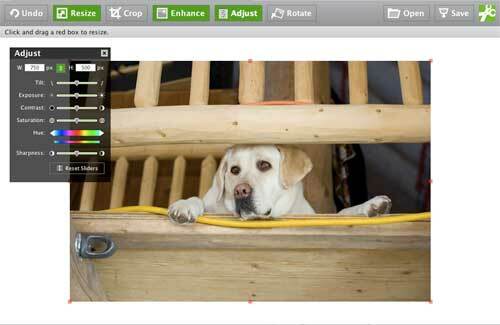 Most will allow you to do minor editing, cropping, resizing, color correcting and printing. Easily upload your images to your favorite online photo storage service. 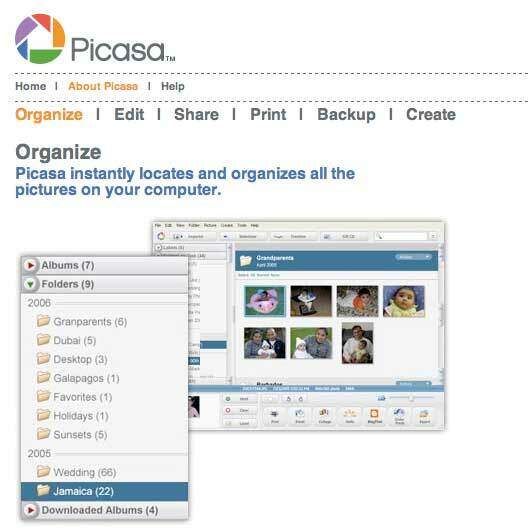 Picasa – PC/Linux photo management, also includes online photo sharing for anyone with a Gmail account. 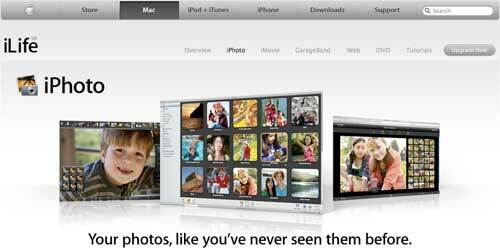 iPhoto – Mac photo management. If you’ve got a recent Mac, then you have iPhoto installed already. Apple Aperture – Professional photo management for Mac. Adobe Photoshop Lightroom – Professional photo management for Mac and PC. flauntR one-click effects – Online photo editing and effects. Includes uploading from your computer or flickr account and is nice enough to include sample images to play with. You can try out the apps (currently PhotostylR and PhotoeditR, soon PhotoprintR) without registering. I’ve been using Adobe Lightroom to manage my huge library of digital photos… but lately it’s been acting up. Lightroom is a really nice application if you take lots of digital images (otherwise, I suggest you stick with Apple’s iPhoto) and it manages the complete workflow from importing the images out of your camera, organizing, editing, printing and sharing them online. This week, Lightroom began behaving erratically. My thumbnail images were gone from the Library view, even though the image files are still there, and clicking on them still opens the image in the Develop module. The problem has been reported on Adobe’s forums (here and here), but at the time this post was written there was still no solution (or acknowledgment) from Adobe. Also missing sometimes, but not always, are the module labels (Library | Develop | Slideshow | Print | Web) that you click on to navigate around the program. Following the advice left on the Adobe forum (from other Lightroom users) I found a partial solution. Unchecking the “Show Header with Labels” option under the “View | Options” dialog makes the thumbnails reappear (though you lose all the additional information about each image). Pressing “J” while in library view will cycle the different display modes and also temporarily solve the issue. The problem with the module navigation labels is partially solved by going into the “Lightroom | Identity Plate Setup…” dialog and checking “Enable Identity Plate.” You can then disable the Identity Plate and the module labels will remain on screen. However, on several subsequent activations of the program I’ve seen the module names disappear again. I also tried deleting the program preferences, as well as the Catalog Previews file to no avail. Deleting the program preferences file (com.adobe.Lightroom.plist – found in ~/Library/Preferences) merely activated an annoying set-up dialog at start-up that would never go away by pressing Finish or Cancel. Luckily, I’d saved a backup copy of the original preferences file. What about you guys? Any troubles using Lightroom? Any solutions to these or other issues? I decided to post a photo today to spice things up… Took this one today at Bayfront Park in downtown Miami. This is a follow up to my post: Google’s Flickr Killer. 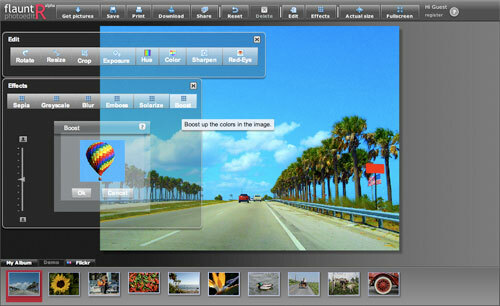 As I’ve already mentioned, a photo organizing and editing tool that runs on your computer (and not over the web) -such as Picasa- is an integral part of the equation. If I could upload straight from Picasa into Flickr, I would use my Flickr account ten times more than I do now. Since I’m using a beta version of Picasa Web Albums, I can upload directly into Google’s own web-based photo storing and sharing service. But, convenient as it is, it’s still no Flickr (or smugmug or photobucket). More storage space. How about unlimited? The current 250MB is laughable, and the only upgrade option is to 6GB. 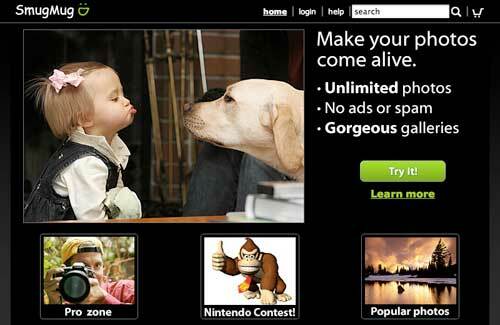 Direct linking to images, at several sizes. This would allow users to link to their images from their websites, blogs or forum posts. Tags. It should be easier to tag photos within Picasa and these tags should replicate in Picasa Web Albums. Tags make organizing photos easy and fun, and make it much easier to find similar information from other users. Geotags. Come on, Google..! 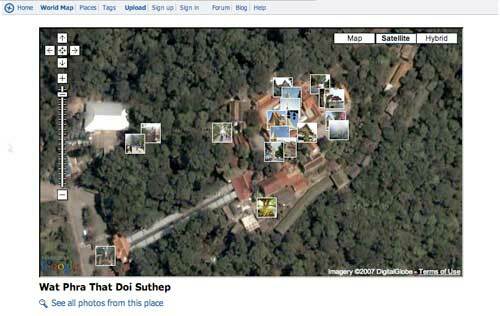 Google Maps/Earth + Picasa + AdSense = Why isn’t this happening quicker? A powerful API. An API would allow users and companies to offer third-party services, add-ons and tools beyond Google’s imagination or capabilities. Map tools, printing services, backup services, blog galleries, mosaics, games, t-shirts/purses/mugs, avatars… you name it, someone will come up with it. Add-supported, revenue-shared. Google could use the AdSense network to advertise on user’s galleries and photos based on the tags used (or use an image-analysis algorithm to extract relevant information from each photo). Beyond a certain number of hits, Google would share the advertising revenue with the photo’s owner (via Google Checkout, of course). Comments and notes. Visitors should be able to comment on each photo, ala Flickr. Better GMail and Blogger integration. (Currently I can only post four images at a time to Blogger and can’t BCC: on my emails). Ideally, Picasa would allow posting to any blog (WordPress, for instance) the way Flickr does. Publish-by-email would be nice as well (send your photos to a predefined secret email, and have them appear on your photogallery and blog). And of course… Google Search for all my images. The funny thing is, Google has already implemented these ideas in one or many of its services. So, what is taking them so long to tie them together into a killer photo storage and sharing web service? Do you have more suggestions for Google? Post them in the comments to this article. And Google, I’m available for hire… in case you want to boost Picasa Web Albums into hyperdrive. My name is Carlos Granier and this is my blog on Digital Media Strategy, Social Networking and the occasional odd post.